We have programs from Nursery School to Begindergarten to After School Programs and is Maine’s only fitness-based edcuation program! Be sure to get more information on the program that fits you best. Call us with any questions! Visit the Schedule page to download Class Schedules. Tiny Stars Nursery School is a fitness- based learning program that combines preschool education and nutritional lessons with a forty-five minute gymnastics class. Each day in Tiny Stars, we will focus on a number of educational themes including art, language arts, science, mathematics, music and creative expression, allowing your child to receive a well rounded experience that will help prepare him/her for school socially, mentally, and physically. To learn more click here. Bright Stars Begindergarten is designed for the child who needs or is ready for a more accelerated class. Children will work on letter recognition, upper and lower case letter formation, letter sounds, reading readiness, sight words, writing and math concepts including number recognition, counting, skip counting, forming numbers, basic addition, patterns and measurements. Children will also have many opportunities for creative play when appropriate. The program includes 45 minutes-1 hour daily of fitness (gymnastics, ball sports, creative movement, etc.) Click here for more info. Our Fitness-based After School Program will provide children with physical activity in a safe and fun environment. Emphasis will be on learning and /or improving gymnastic skills as well as a focus on general fitness. Your child will have time to finish or have help by one of our teachers with their homework. Grades K-5. Click here to read more. Our days are filled with gymnastics, outdoor activities and games. Camp at gymNation is a time for campers to learn how their bodies work. Every day, campers will test their motor skills, flexibility, agility, balance and coordination. When children complete physical challenges, their minds and bodies grow stronger each day. Read more about our camps here. Learn discipline, the art of martial arts, and have a great time doing it! Taekwondo instills discipline, etiquette, respect and self-confidence. Techniques in combat and self defense include sparring, throwing, falling, breaking and meditation. Learn more here. 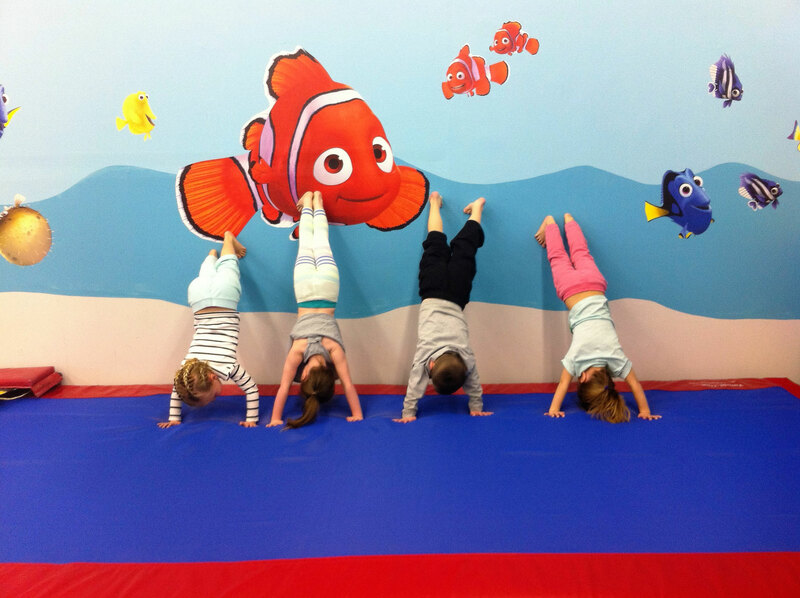 GymNation Birthday parties can be gymnastics, yoga or a combination of both. Coaches will provide 1 hour of fitness fun, and 45 minutes in the party room. Click here to read more.